Before we get started with this, just want to give fair warning. There are minor spoilers for the series but if you have read all the books, then it won’t be. The things I hint at are fairly obvious (especially if you read The Shadowhunter Academy and City of Heavenly Fire). With that said, let’s dive in. The world of Shadowhunters is not yet over and it doesn’t look like it’s going to be over for a long time. In the first book of the spin-off series, The Dark Artifices, we follow the story of two characters that we met at the end of the sixth Mortal Instruments book, Julian and Emma. At the time they were 12 years old, but you could already see a budding story forming between the two of them. Flash foward seven years. The pair are now 19 years old and in charge of running the Institute. Julian has more responsibility then a young man should have had and the pressure weighs heavily on him. He counts on Emma, his parabatai, to help alleviate some of the pressure, but as a new threat introduces itself, he finds that being around Emma only makes it worse. The Shadowhunters growing up basically reciting, The Law is tough, but it is the Law. The hardest rule that he has had to follow is not falling in love with his parabatai. Being a Shadowhunter fan, I knew this rule since the beginning of the series but I could never fully understand why. Why does it matter if you romantically love them? Wouldn’t that make you better, stronger? This book finally dives into the problems that stem from falling in love with your parabatai as it looks like it’s the center of the new threat. Julian Blackthorn is quickly becoming one of my favorite characters in the series. I relate to him on a lot of levels (in regards to having to grow up before being ready and being the one that has to be strong for everyone, despite). Julian is a romantic at heart but struggles with his feelings for Emma while trying to do right by his family. Emma causes him to be reckless and I love to see those moments that he throws caution to the wind and acts like a teenager. Young love gives hope and them together brings a lot of hope (along with heartbreak) with it. Of course it wouldn’t be an epic story without an epic love story. And this one between Emma and Julian? Yeah WAY more epic than Jace and Clary. Don’t get me wrong, they had a lot of obstacles and what not, but this whole thing with Emma and Julian, there are literally no words to describe how beautiful their love is. It’s what young love is supposed to give you, hope that the world is not as messed up as you know it to be. And that scene on the beach? The best scene between the two of them. When you read it, you will know why. Now it wouldn’t be a Shadowhunter series without something catastrophic about to happen. In this book, it involves a string of murders that are linked to Emma’s parents’ death. Of course, she is going to want to find out the truth and she quickly sees that it’s bigger than she imagined it. The plot is going to twist, people are going to get betrayed, lines will be crossed. The question will remain who will be there at the end and what side they are going to be on. The ending? Oh my God. There are no words to describe the ending. And I’m not even talking about the climax. Oh no. I am talking about those three chapters after the ending. The part where all my hopes and dreams go right down the tubes and in a way that I just can’t swallow. I know that it’s going to be tough to come back from the ending and I just hope that when the whole series is done, that it turns out the way that I want it to. I love how in depth that this whole Shadowhunter story has become. There has been a lot of successful series that have come from the original Mortal Instruments. I thought when we got to City of Heavenly Fire we finally got to a place where we could be like ‘ok I’m good now’. But no, this book begins a whole new can of worms and I can’t wait to see where Clare takes us. Clare’s world is often compared to the kind of world that JK Rowling created with Harry Potter. Unlike that world, she didn’t get the same kind of success with the movies, but she is finding success with the show Shadowhunters on ABC Freeform. For me, the stories are different but they are the same. They both involve so many different levels and while it is a story of fantasy and fiction, it is plausible enough to be true. For me, this is the perfect find of fantasy I like to read because when I want to escape, I want to escape into a world that CAN happen, not into a world that is nonexistent. To keep up to date on news from Cassandra Clare, you can go to her website, Follow her on Twitter, Follow her on Tumblr, or ‘Like’ her on Facebook. 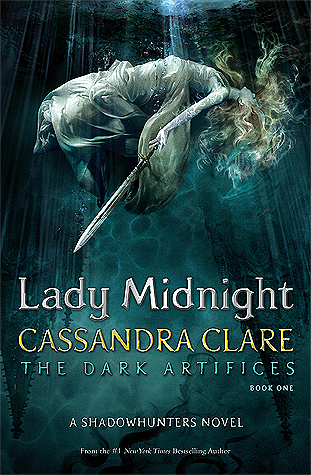 You can buy Lady Midnight at Amazon, Barnes and Noble, Kobo, iBooks, or other major retailing locations. As the year comes to a close, we take a look back at the year of 2014 and think about all the things that stick out. There were a long list of books that came out made a difference in our year, whether it be that Young Adutl novel that you stayed up until the wee hours of the morning reading, or that Romance novel that you were glad you had on sunglasses to hide your blush while you read at the beach, or the suspence/thriller that you snuck a read any chance you got. There was a book that came out this year that you will be reading again and again. We got a start of a few new series this year, including Marie Lu (author of the Legend trilogy) but it was the end of a few series that made the year. 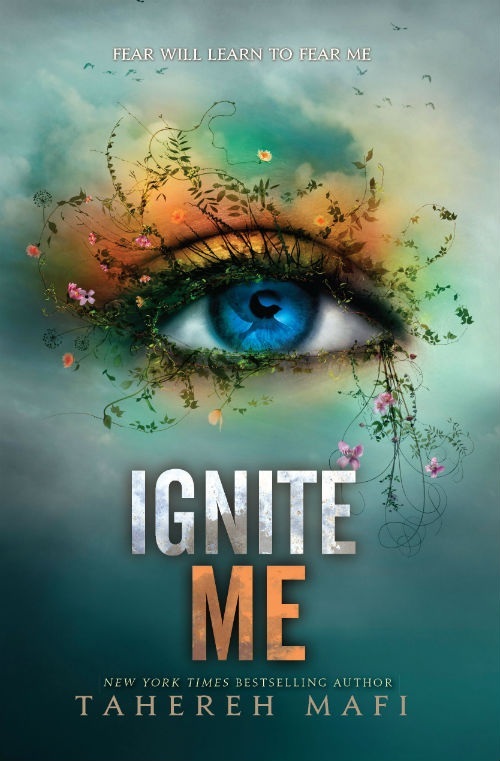 We saw the final book in The Mortal Instruments by Cassandra Clare, City of Heavenly Fire, and the final book in the Shatter Me series by Tahereh Mafi, Ignite Me, come out. Each book ended with a bang and allowed us to close that chapter on that part (at least until the movie adaptation comes out). Below is the list of the top books that came out this year. 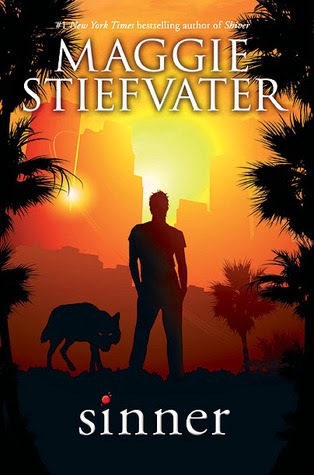 When Stiefvater announced that she was adding to her Mercy Falls series, fans went crazy. Not only did we get another book, but it would be told in Cole St. Claire’s and Isabelle’s point of view. We get to see what happens to this couple after the events in the last book and we can see if Cole has what it takes to be the man that Isabelle needs. It’s a hard ride for Cole but seeing his transform from a reckless boy into a man is beautiful and certainly a perfect read to the fans of the series. In the first book of this new series by Marie Lu (author of the Legend series) she mixes a story about Assassin’s Creed and X-men. There is a whole lot going on but once you get to the end you will find yourself feeling emotionally towards the book for it’s twist ending. These are the types of books that should be read. The ones that spark emotion, whether good or bad and this one does just that. In the third book of the series, we follow Calla as she embarks on a relationship with Jax while trying to find her mother after she basically ruined her credit and stole money from her. Calla doesn’t believe that she doesn’t deserve love and that she won’t get it because of her scars and Jax makes it his life’s mission to prove her wrong. The story is perhaps the best one in the series as it has a thrilling aspect that we didn’t read in the first two books. We get to see more of the romance side as Calla tries to come to terms with the scars both physically and emotionally. In the final book of the trilogy, Juliette and Warner are trying to find his father so that they can take him down before he hurts more people. This book, like the other two books in the series, had a lot of twists and turns that keep you guessing. Juliette finally makes her decision about what she wants for her life personally and it’s not going to be who you think it is. It is a refreshing series and one that you should be reading if you are not. In the first book of this new series by Colleen Hoover, we follow Sydney, a girl who just caught her boyfriend cheating on her with best friend, as she falls in love with the boy next door, Ridge. He is the perfect guy for her, but there is a problem, he has a girlfriend. The story focuses more on the angst of longing that one can have when they find the person that they are meant for with someone else. You can feel the struggle that Sydney and Ridge have because they are good people but are stuck in a bad situation. In the final book of this duology, Wren and Callum work on breaking out the other Reboots that are trapped in HARC. As the war brews, Wren and Callum get closer but Wren starts to see that her feelings for Callum make her stronger not weaker. This is quick read that has a lot of action and fighting going on. Wren is not one to take crap from anyone and she is the perfect one to lead the charge for the war. 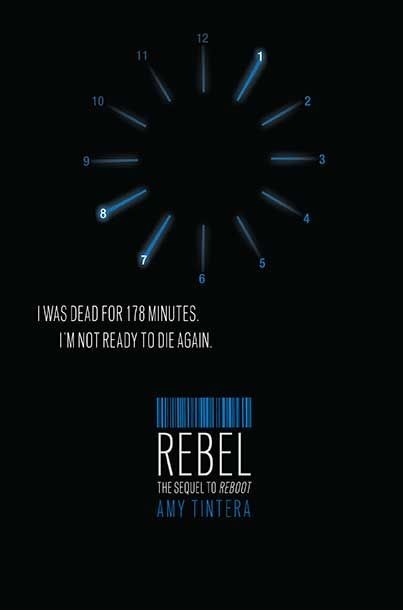 This is the perfect series to read when you are missing out on Hunger Games or Divergent. In the third book in the series, we follow Rex and Mac as they embark on their relationship but its not that easy road that we’ve read in the first two books. Rex has had a rough upbringing and has a hard time accepting love of any kind but he can’t stop this connection that he feels to Mac. Mac is keeping a big secret from Rex and when it comes out Rex is challenged in a way he hasn’t been before. This story tackles big issues that haven’t been done before and Salsbury knocks it out of the park. In this final book in The Darkest Minds trilogy, Ruby works with Cole as they try and overtake the government and their rules while figuring out her relationship with Liam. This story works that love story into a story of war and loss and gives us something to root for in the story. Ruby learns how to be a leader and how sometimes the right decisions are the hardest to make. This ending is beautiful tragic and really gives the fans that satisfying ending that they deserve. This book takes place between the first and second books in the series. We follow the couple from the first book, Noah and Echo, as they embark on a journey from teenager to adulthood. For them, it seems like it will be a breeze considering everything that they’ve been through. But nothing is as easy as it seems. Echo and Noah learn that there is so much that they need to learn, not just about their relationship, but life as well. They really come in to their own and come into their own as adults. This is easily one of the most anticipated books of the 2014 and Clare was able to live up to the hype. 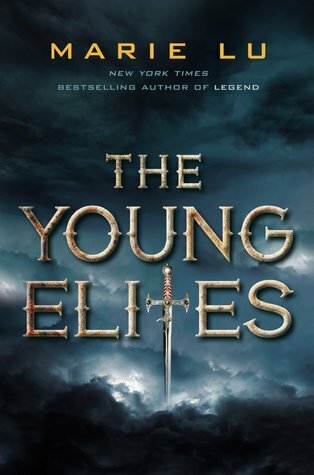 This is the final book in the Mortal Instruments series as the group finally comes to terms with the war that has been brewing since the start of the series as they take down Clary’s brother, Sebastian. Clare is able to give her fans a satisfying ending and still offer that big twist for the series. This is the book that once you started you couldn’t put down and you would be hard-pressed to find a book that is able to grab you and hold on to you like this book did. 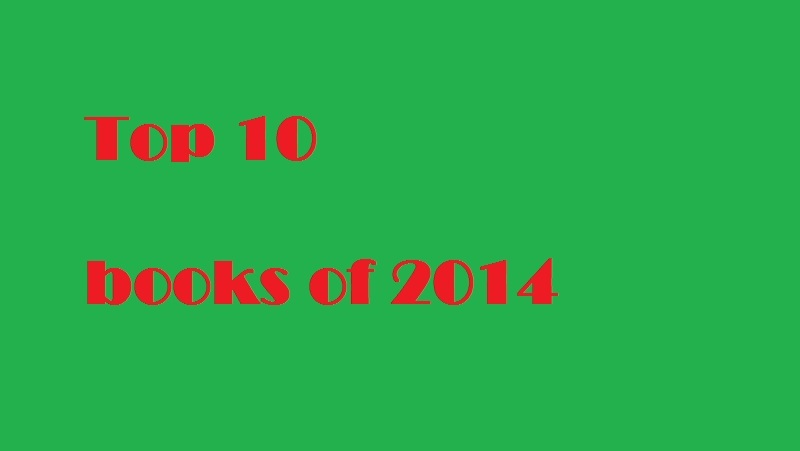 What is your favorite book of 2014? In the final book in The Mortal Instruments series, the shadow hunters must come together to try and take down their greatest enemy yet, Sebastian, before he destroys everything that they hold dear. 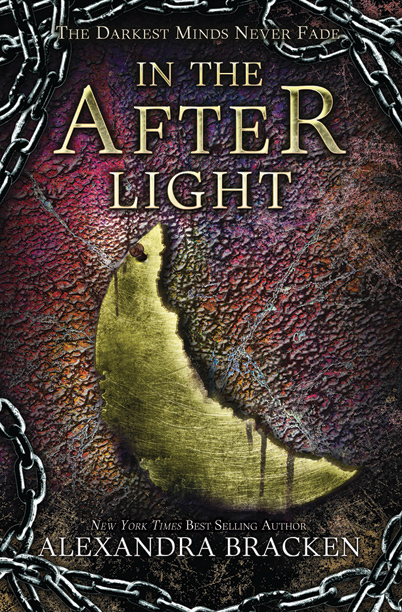 Fans of the series, know that Cassandra Clare is not one to leave a stone unturned. In this conclusion, which stands 700+ pages, she is able to capture multiple points of views, making sure that the fans know everything that is going on. Writing the final book in a long series, or for any series for that matter, is very hard because you have the hard task of trying to satisfy every fan. This is virtually impossible so it’s best to do what deserves to be done and Clare did this for the story. While she teased with the teaser cover that there would be a lot of deaths, you can rest assure, that while there is a lot of deaths, it’s not the number that you probably have in your head. And the ones who did lose their lives, they did it in honor and Clare was respectable in the manner in which they died. What I enjoyed most about this story was how she was able to link her other book series into this one (The Bane Chronicles and The Infernal Devices) while also setting up her new series (The Dark Artifices) without it taking away from The Mortal Instruments series. If you haven’t read these series, it’s ok. You don’t need to to understand what’s going on. It’s just adds to your reading experience because when they make references to those stories, you know what they are talking about. The Mortal Instruments series as a whole is a very complex series that has a lot of twists and turns, but is centered around Clary and Jace. So naturally, fans want to see these two grow as people and they certainly have changed a lot throughout the series. Their relationship matures and becomes it’s own in this story, but in regards to character development, one could argue that Alec and Magnus’s relationship had the most development. Magnus is a very old warlock set in his ways, but all that changes when he meets shy, timid Alec. Alec always felt he wasn’t good enough, always in the shadow of Jace but he really becomes his own when Magnus gives him the courage to be who he is. The other main relationship Simon and Isabelle had their problems but in the end, Simon was able to break through Isabelle’s tough exterior. She never watned to fall in love because she thought it made her weak, but he made her see just how strong she was because of their love. It’s a beautiful relationship and perhaps the one that you are rooting for since book three. This book will leave the fans of the series satisfied and complete with the series. While of course you want more, you can rest assure that we will probably see them again in the Dark Artifices so while their story may be over, we will get to see them again. It’s like saying good-bye to your friends from school knowing that it’s only a matter of time before we meet again. In the final book in The Mortal Instruments series, we get reunited with Clary and Jace as they try and take down her brother Sebastian who is trying to finish the work that their father started. We have been warned by Clare about how there will be many deaths in this story and by the sounds of it, it makes it seem that anyone and everyone is on the chopping block. More then likely Sebastian will be one of them since he’s the villain and I highly doubt that he wouldn’t be one of the deaths, but past that, it’s really unclear. Clare might be going for a shock value (which might include killing off a major character) but it’s going to be execution on how it’s done that will decide if the fans like it. If she does go with killing a major character, Clare has to be ready for the backlash that might happen similar to what happened with Veronica Roth in Allegiant. City of Heavenly Fire is available as hard cover, paperback, or e-book and can be purchased for your Kindle and the Nook. You can add City of Heavenly Fire to your Goodreads page by going here. Yesterday, Cassandra Clare released a trailer for her upcoming book City of Heavenly Fire from The Insider and then she later released it through her Tumblr page. The trailer can be seen below. In the trailer, you have Clary’s voice over talking about fire and how it can burn you and how they are going to let it burn. We get to see a few intense moments between Clary, Jace, and Sebastian hinting at some things that are to come but really not revealing too much. 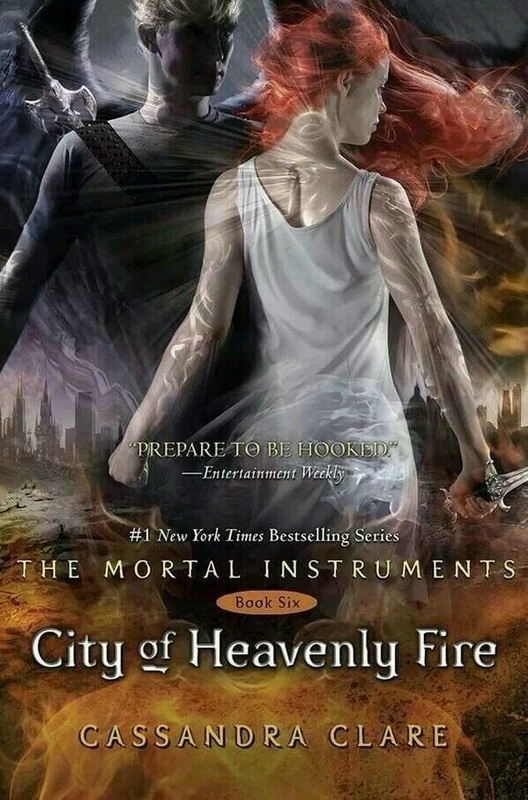 City of Heavenly Fire is the final book in The Mortal Instruments book and has high expectations from the fans as they will be going out to get and see who it is that Clare has decided to kill in this war between good and evil. The book is set to come out May 27th. With Spring starting to set in, the best books are starting to come out and get you read for those books that you will be reading on the beach come this summer. This month, there is a number of good books coming out that will keep you going to the book store each and every week. Below are the top five books to watch out for this month. There are two books that are set to end their series this month and no doubt that the last Mortal Instruments book will be one of the top books for the month in sales. Here are the top five books to read this month. Jade and Garret have a love story like no other. They’ve survived heartache, tragedy, and numerous forces trying to tear them apart, but through it all they’ve developed a love that will endure forever. Now it’s time to celebrate their love with a wedding. 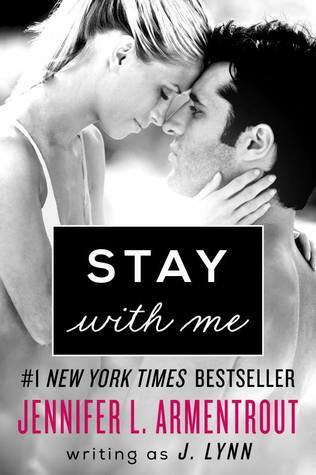 It’s summer break and as they await the big day, Jade and Garret are living together on a beach in California with their best friends Sean and Harper right next door. But their summer isn’t completely carefree. Trouble erupts within the Kensington family and certain people don’t show up at the wedding. An unexpected visit from someone in Garret’s past causes stress for Jade and Garret. And planning the big event makes Harper question her future with her boyfriend, Sean. It’s a summer filled with fun, romance, love, and friendship mixed with a little family drama and a touch of mystery. 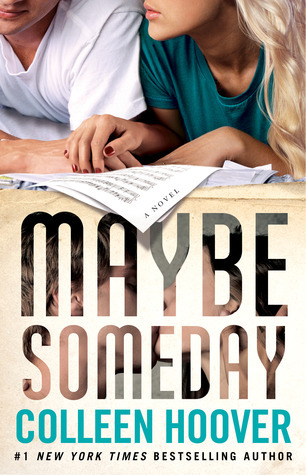 But most of all, it’s a summer Jade and Garret will never forget and the perfect start to their new life together. West is keeping a big secret from Haley. About who he really is. But helping her–fighting for her–is a shot at redemption. Especially since it’s his fault his family is falling apart. He can’t change the past, but maybe he can change Haley’s future. Haley and West have agreed to keep their relationship strictly in the ring. But as an unexpected bond forms between them and attraction mocks their best intentions, they’ll face their darkest fears and discover love is worth fighting for. After coming back from death as Reboots and being trained by HARC as soldiers, Wren and Callum have finally escaped north, where they hope to find a life of freedom. But when they arrive at the Reboot Reservation, it isn’t what they expected. Under the rule of a bloodthirsty leader, Micah, the Reboots are about to wage an all-out war on the humans. Although Wren’s instincts are telling her to set off into the wilderness on their own and leave the battle far behind, Callum is unwilling to let his human family be murdered. When Micah commits the ultimate betrayal, the choice is made for them. But Micah has also made a fatal mistake . . . he’s underestimated Wren and Callum. What book are you most excited to read? Recently, Cassandra Clare has released another synopsis for the final book in the Mortal Instruments series, City of Heavenly Fire through her Tumblr account. You can read the synopsis below. In the long-awaited conclusion to the acclaimed Mortal Instruments series, Clary and her friends fight the greatest evil they have ever faced: Clary’s own brother. Sebastian Morgenstern is on the move, systematically turning Shadowhunter against Shadowhunter. Bearing the Dark Cup, he transforms Shadowhunters into creatures out of nightmare, tearing apart families and lovers as the ranks of his Endarkened army swell. The embattled Shadowhunters withdraw to Idris — but not even the famed demon towers of Alicante can keep Sebastian at bay. And with the Nephilim trapped in Idris, who will guard the world against demons? While we have already got a synopsis for the story, this one offers a different look at what we can expect and offers a bit more insight to what the book is going to be about. Clare has already hinted that there would be a lot of deaths in this story and fans have been speculating at who will survive. City of Heavenly Fire can be added to your Goodreads shelf by going here and is set to come out May 27th. What do you think of the synopsis?